If you are eco-friendly and into cars as well, then you will definitely like this list of the top ten least expensive hybrid cars! Hybrid vehicles basically use two different engines combined: an internal combustion engine and an electric motor. Petroleum-electric hybrids are thus powered by gasoline or Diesel and by electric batteries. These cars are being chosen every day more by environmentally conscious users who attempt to reduce their carbon footprint in any way possible. In the last few years, they have become quite common and you will see them everywhere across the country. If it’s not your ‘greenness’ but rather your love for cars that sparked your curiosity into taking a look at this list, you will most surely enjoy The 15 Most Expensive Classic Cars. Who knows, maybe some time in the future hybrid cars will become classics too; but for the time being we can only guess that their presence in the streets will increase until they become ubiquitous worldwide. A little bit of history: the first petro-electric hybrid vehicle in the world was created by Henri Pieper. The Ferdinand Porsche also developed a series of hybrid automobiles; these initial ideas were further improved in the 1970s by an electrical engineer from Arkansas and hybrids were finally released to the U.S. market in 1998. But coming back to the present, as the demand for hybrids increased, the supply was consequently widened and there are now various options for different budgets. In this case we’ve decided to rank the most affordable hybrid cars by the manufacturer’s suggested retail price (MSRP). 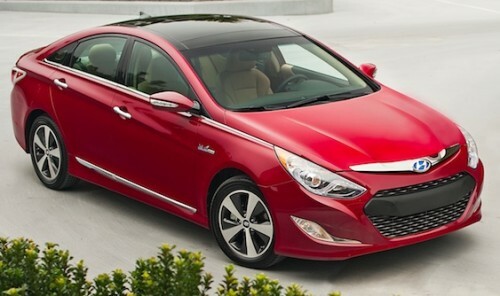 Want to know which are the top least expensive hybrid cars at the moment? Then let’s take a look at the countdown and see what the most affordable hybrids in the American market are. Features: aerodynamic wheel design, updated suspension, steering calibration, low-rolling resistance tires, active grill shutter, automatic start/stop technology.